I started off the month of June with a good race at the Borah Epic, ran a solid 10k trail race and finished off the month with the Lutsen 99er. 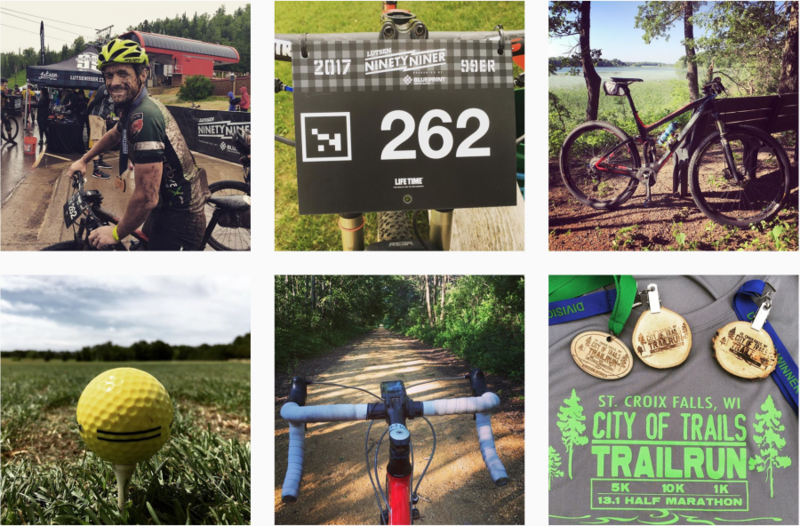 I’m looking to change up my race plans for July, so read on for the latest and what’s coming up. My June riding was mostly focused on peaking for the Lutsen 99er with some structured workouts to keep my intensity levels high, but dialed back my riding time some. I wouldn’t neccessarily say the workouts I did were maybe the best for the Lutsen, but I like to try out different things. My total ride time was down about 2 hours from the previous month of May with an average weekly ride time around 6 hrs/week in June. 2 hours of riding doesn’t sound like much of a taper, but keep in mind that my ride time from the Lutsen race itself is rolled up in the total hours. For reference, the previous month of May was tied with January for my max average ride time of 6.5 hrs/week of riding. That’s really not a lot of ride time for my goals, but I try to be efficient and purposeful in the hours that I put in. In the grand scheme of things of averaging only 6 total hours of ride time per week, I am fairly happy with my race results so far this year. Especially, since all my actual race hours are rolled up into that average ride time as well. 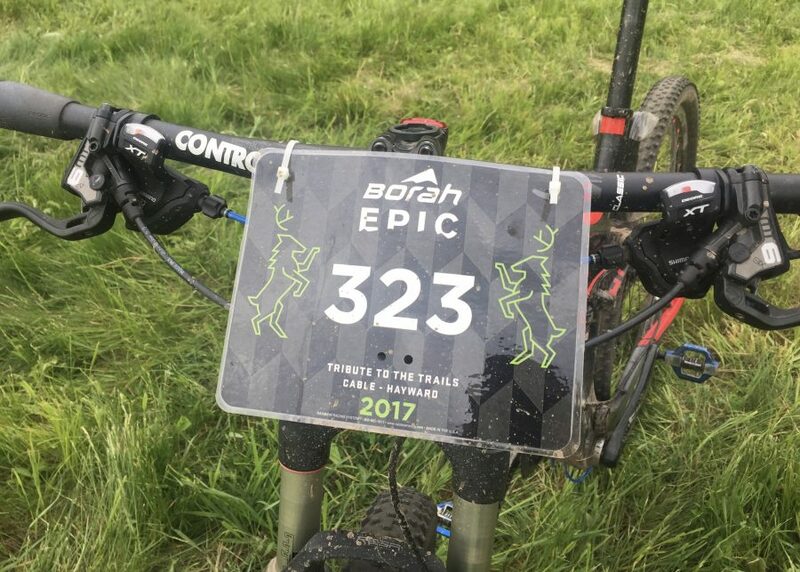 I did have some nasty poison ivy on my rear end as well, which is a whole different story that you can find at the bottom of my Borah Epic race report (link below)… Anyways, it was bad enough that it kept me off the bike a little bit. It got in the way of me getting in a couple of my longer endurance rides, early in my taper for the Lutsen. It was fun getting out to a new event like the City of Trails 10k, but it also got in the way of some riding that I wanted to do as well. I took it easy the week after Lutsen as I spent a few days camping, canoeing, kayaking and fishing with my wife and kids. July will include some structured build workouts mid week and the weekends consisting of some longer rides to start preparing for the Marji Gesick 100 in September, which is the next race that I would consider as my primary target. Any other racing between now and then will just be fun, new adventures or training races. Again, not that I won’t be racing hard… But, I won’t make much adjustment to my training around those races and I’ll just treat them like any other training ride in my schedule for the most part. Check out my upcoming events section for more discussion on what my riding will be like in July. I’m looking to change up my race plans. 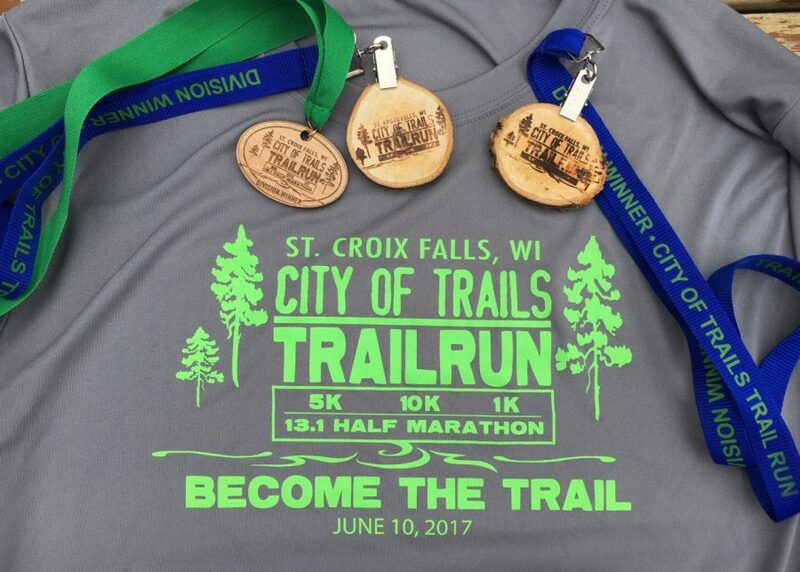 My running this month consisted of only 2 recon runs for the City of Trail 10k and then running the actual City of Trails 10k on race day for a total of only 3 runs all together. I intend to do a little more running this month, but the mileage will probably be on the low side still and I’ll likely keep the intensity on the low side as well with my focus being on some structured bike workouts. I did not do a whole lot of strength work this month, other than doing some stretching and the random pull-ups and push-ups. This was mainly because I was going through a peak/tapering phase on the bike and had planned very minor strength maintenance work during this time. Regarding flexibility, I had gotten extremely lazy on my flexibility a few months back and am paying for it a bit now. So, I’m back to putting some more focus on it and already starting to see the difference. I’ll also be getting back to some upper body and core strength maintenance work in the month of July and August while I go thru a couple more build phases on the bike. Disclaimer: I have no official training in nutrition, so take whatever I write about my nutrition as interesting stories or lessons learned. In no way shape or form is any of this meant to be advice for anybody. I like to experiment with many things and nutrition happens to be one of them. I’ve mentioned this quite a bit, but my diet has been loose to say the least the last few months. I will be putting a little more focus on getting the diet and nutrition dialed in over the month of July again as I get a little more serious about ramping up my training. I might even bust out the kitchen scale and do some tracking on My Fitness Pal. We’ll see… I have a lot of things to focus on right now and have a bad history of trying to do too much at once. However, I feel it’s time that I put a little better focus on my diet. It’s highly likely I’ll be changing my race plans for July, but I am still working through the logistics of it. Not sure if I was going to pull off all of these, but I had good intentions of hitting most of them and thought it would be interesting to do some double header weekends. There was another road race in there on July 22nd, but I can’t find the details on it anymore. They may have dropped the road race and stuck with just crits for the weekend, so I dropped it off the schedule. I’ve had a ton of fun doing a lot of racing in May and June, but I’m itching for some more epic endurance stuff again and it looks like I might be able to fit the Wilderness 101 into my schedule. I could still do some of the other races in July, but I’ll need to swap out those race fees to afford the trip expenses and the race fee for Wilderness 101. I’d also like to swap out the race days for some more deliberate endurance mtb training rides anyways. I don’t feel like my muscular endurance is where it needs to be and the race days tend to take me to a slightly higher intensity than needed to really hone in on the muscular endurance. Plus, the effort is so up and down random during a race that I can never really stay in the right zone consistently to build that muscular endurance. I’m all about fun and enjoyed lots of racing, but I also enjoy the journey of chasing a goal as well and I’m really after building my endurance fitness so that I can race more 100 mile type events, more often. Anyways, I should have it sorted out over the next week. I thought I’d share both options. Hit me up if you have any thoughts on it that you’d like to share. I am set up to do virtual sessions. I do these using Skype or Facetime and it works out well. I can go through a full workout, demonstrate exercises, etc… on live video during the sessions. Before getting into fitness, I spent a lot of years working with or managing engineering teams in other parts of the world. I think personal training or coaching over the web is going to be much more common in the future as people continue to be crunched for time. Contact me anytime if you have questions. If what you’re after is not in my wheelhouse, I’ll let you know and point you toward somebody else if I have a suggestion. This was the report I wrote from my very first Lutsen 99er back in 2014. It was actually my first 100 miler also. I’ve made a lot of improvements since then! I’ll have this years report posted soon. I kind of covered most of this in the upcoming events section, but I’m planning a structured build period for the month of July with the goals of increasing my threshold power and building up my muscular endurance. I’m about 90% sure at this point that I will be opting out of the multiple races and heading out for the Wilderness 101. I should have it figured out within the next week.